Pravrajika Vivekaprana is a senior sannyasini of the Sri Sarada Math and the Ramakrishna Sarada Mission order She is now head of a Retreat Centre of the Order at Pangot, district Nainital. She is presently also the Secretary of the Ramakrishna Sarada Mission, New Delhi. For more than 50 years Pravrajika Vivekaprana ha specifically studied the teachings of Swami Vivekananda and has done in- depth study of Hindu Philosophy in the context of human psychology She joined the Order in 1963 and since then has been sharing her thoughts on the Hindu scriptures and awareness of human psychology with rapt audiences at varied forums. Her ability to reach out to her audiences has always left a lasting impact with the listeners hankering for more understanding of the philosophy of life. From 1989 she started her travels abroad and has over the years visited Holland, Germany, France, England, Brazil, Uruguay, Argentina, and the United States of America. She has shared her thoughts and understanding with a very wide range of listeners, both in terms of age and culture. In 1993 Pravrajika Vivekaprana was invited to speak at the Parliament of Religions in Chicago. exactly 100 years after Swami Vivekananda spoke at the same forum in 1893, and made his first electrifying impact on the West. I am very happy to know that the friends of the Mission and students of Vivekaprana have decided to publish her various talks in a series called, “Understanding Vedanta”. 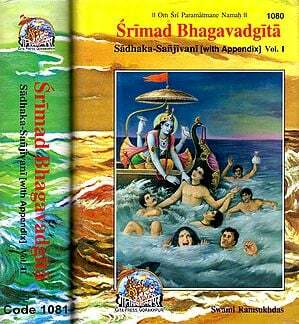 It is indeed fitting that Vivekaprana should have chosen Chapter Two of Srimad Bhagavad Gita. This is the most significant among the eighteen chapters, containing as it does, the essence of the entire philosophy of Hinduism. 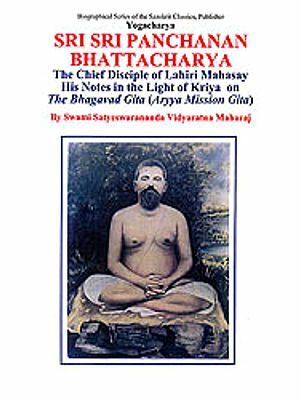 In this one single chapter Lord Krishna expounds to the bewildered Arjuna the concepts of the real and the unreal, of death and rebirth, suffering and happiness, pleasure and pain, the nature of the Atman, the characteristics of the man of wisdom, and the need of control over the senses. This chapter contains the now so well-known verses that have inspired true karma yogis as also jnana yogis through the ages. These concepts, now inherent in the psyche of most Indians, have come to form the backbone of the daily life of the nation, thus proving their perennial relevance to everyday life. 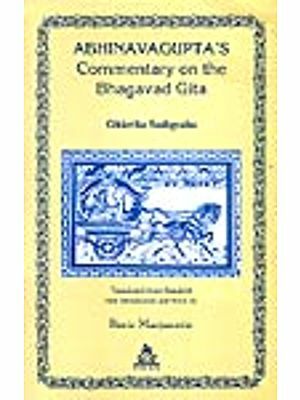 While the Bhagavad Gita is a work that is read daily by millions and commentaries have been Written on it by countless and learned persons, I have no doubt that the innovative and novel interpretations given to these verses by Vivekaprana, will be highly appreciated by those of the modern generation who are desirous of applying these concepts to the situations they face in the contemporary world. I know that Vivekaprana keeps herself abreast with developments in today’s world as also then latest achievements of modern science. She is therefore able to touch a chord in the hearts of today’s youth, by relating these developments to the situations, both physical and mental, prevalent today. I wish all success to this first in the series of published talks, which will undoubtedly gain for her an ever-increasing audience, both among the young and the old of this country and abroad.